Christophe Guibert de Bruet joined LALIVE in 2012. 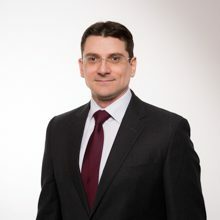 His main area of practice is international arbitration, including commercial and investment treaty arbitration, with particular experience in disputes relating to large construction and infrastructure projects and disputes in the telecommunications and information technology sectors. He has acted as counsel in a number of international arbitral proceedings, either ad hoc (including UNCITRAL) or administered (under the rules of the ICC and ICSID), governed by various procedural and substantive laws, including English, U.S. and French. He has also assisted clients in international trade and white collar crime matters, involving antidumping and countervailing duties, export controls, U.S. Office of Foreign Asset Control regulations, and the U.S. Foreign Corrupt Practices Act. Before joining LALIVE, Christophe Guibert de Bruet practiced international arbitration at King & Spalding in Paris (2009-2012) and Dewey & LeBoeuf in Paris and Washington, D.C. (2005-2009). During that time, he also passed the Paris bar examination. Christophe Guibert de Bruet holds a J.D. (Juris Doctor) from the University of Virginia (2005) and a B.A. from the University of Michigan (1998). Prior to attending law school he co-founded and operated a software company specializing in factory controls and embedded control systems. Christophe Guibert de Bruet "has that rare combination of intellect, thoughtfulness, dedication, quiet confidence and poise under pressure that I know will make him a great leader in this field in the years to come". Vienna 07/06/2018 Christophe Guibert de Bruet Speaker: Addressing Corruption Sua Sponte: Duty or Discretion of the Tribunal?